How can cacao effect mood? Serotonin - help with wellbeing, and creates resistance to stress. Cacao also has MOA inhibitors, that inhibit re-uptake of serotonin. Dopamine - feelings of motivation and pleasure. Cacao also has MOA inhibitors, that inhibit re-uptake of dopamine. Cacao contains theobromine which is a cardiac stimulant that relaxes blood vessels whereas caffeine is a nervous system stimulant. Theobromine is only about one quarter as stimulating as caffeine with a longer half life creating a softer and longer effect on the body than caffeine alone. Many experts recommend extra dark chocolate for the ketogenic diet. The cacao I use has a 1.1:1 fats to protein+carbs ratio, so it won't knock you out of ketosis. 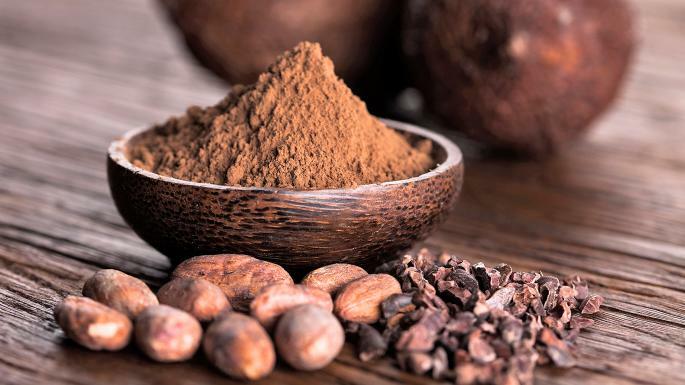 And you'll receive all the many benefits of cacao, from a gentle energy boost to the high mineral content to the compounds that beneficially affect your state of mind. Cacao is one of the most pharmacologically complex plant substances known to man. When consumed unsweetened or with very little sugar, it is a superfood, packed with beneficial minerals and neuro-chemicals that beneficially affect our state of mind. The mild bitterness of a ceremonial cacao drink can also serve to cleanse the liver or release emotions, and the alkaloid content of pure cacao boosts circulation and absorption of nutrients. Consuming cacao can replenish minerals vital to our body. Magnesium is chronically deficient in the majority of western diets, and cacao is the highest naturally occurring source. Magnesium is used in all key brain functions, especially memory and concentration. It is also beneficial for the function of the heart, acting to relax blood vessel and decrease strain. Besides magneisum, cacao is also the highest naturally occurring source of chromium, and also high in copper, calcium, manganese, zinc, sulfur, iron, and phosphorous. Our cacao has been lab tested for safety and meets comprehensive EU standards for absence of heavy metals.